It’s Saturday, and like; I barely have the heart to write. I don’t know what’s wrong with me. Typically, this is the time of year I am filled with excitement. I have never felt so low in life. That said, I’m trying to focus on the stuff I love. Baseball is in the air, and spring training is in session. Corey Seager is back doing baseball stuff! I can’t wait to see this guy play again. ID Figures is at NY Toyfair. Pre-Season has arrived! Who is ready for baseball?? 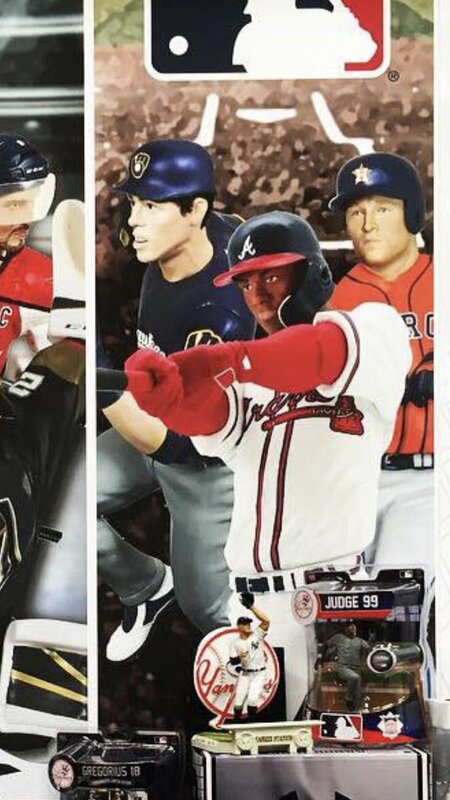 Great look at the upcoming Acuna figure. Imports Dragon is LIVE from New York Toy Fair 2019! Imports Dragon sera en DIRECT du New York Toy Fair 2019! Anyways, as you can tell I am not really myself. I am struggling but will continue trying to write about baseball; as it’s been my passion and saved me from a lot of unhappiness, pain and despair over the course of my life. Some of it – much of it – resides on these very pages. Everyone be blessed, and enjoy your Saturday.